In the middle of the Bulgarian Black Sea coast is Kamchia-Shkorpilovtsi beach, the longest sand beach in Bulgaria. The beach lies between two rocky headlands (Ilandgik and Cherni nos) and is located approximately 30 km away from Varna Bay (Fig. 1 and Fig. 2). Kamchia-Shkorpilovtsi beach begins 2 km north of the Kamchia River mouth and ends 2.5 km south of the mouth of Fandakliyska River. The name of the beach originates from its close proximity to the Kamchia River and Shkorpilovtsi village located further inland. Kamchia-Shkorpliovtsi beach is a popular site for swimming, both for locals and for Bulgarian and foreign tourists. The beach is fairly undeveloped and natural, in particular in its southern part. 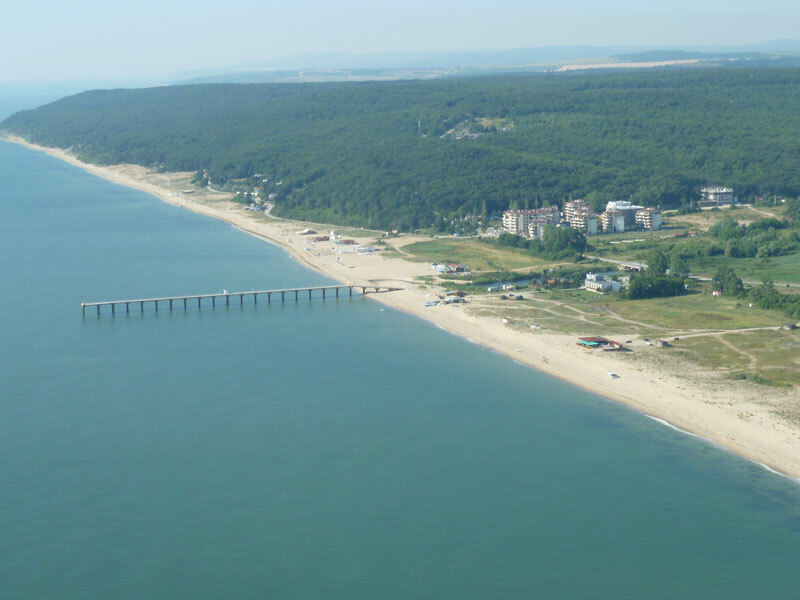 The northern portion of the beach near the Kamchia River mouth has a few hotels for tourists and children’s groups from Russia who spend summer holidays in Bulgaria. Thanks to the lack of large hotels, the beach looks almost wild, even in the summer, and it is a preferred area for people who are seeking natural beauty and relaxation. The coastline here is straight and has an eastern exposure and the dominant winds blow from NE, E and SE directions. The strong waves approach the shore mostly from NE and E, which makes the beach area one of the best on the Black Sea to practice surfing, windsurfing and kite surfing. The research base of the Institute of Oceanology (IO-BAS) is located on the beach near the mouth of the Fandaklyiska River and includes a research station and a pier. There is work and living space for 35 people. The pier itself is 230 m long and 7 m high, and is used for mounting research gauge and other measurement equipment. The Kamchia River is the longest river in Bulgaria and on the Balkan Peninsula to flow directly into the Black Sea, with a length of 244.5 km, has a catchment basin of 5357.6 km2 and an average water amount of 19.25 m3/s. The Kamchia starts at the confluence of two rivers springing from Eastern Stara Planina (Golyama Kamchia and Luda Kamchia), flows eastward to the Black Sea and empties into it 25 km south of Varna (Fig. 3). The Kamchia River basin contains the best preserved flooded forests along the Bulgarian Black Sea coast. These low-lying forests, called “Longoz,” are a unique example of this type of habitat across Europe. Because of the need for environmental protection, this area was declared a natural reserve in 1951 by the Ministry of Forests and in 1977 it was included in the global network of biosphere reserves as part of the UNESCO “Human and Biosphere” Program. This network of reserves includes the protection of the most representative ecological systems on the planet. The forest is typically flooded by the Kamchia River, related to seasonal water level changes, which has led to strong vegetative growth that in places is almost impenetrable. After its expansion in 1980, the reserve covers 842.1 hectares (ha) of wet forests by the mouth of the river. The lowest lying sections of the “Longoz” forests resemble a jungle, with creepers interweaving with trees or hanging down like thick draperies. Twenty-three fish species and numerous mammal species are found in the waters of the river and the adjoining marshlands. One of the most interesting features of these forests is the feathered inhabitants. Kamchia is situated on the migratory flyway “Via Pontica,” which allows for the observation of various bird species that stop to rest and feed during migration. Many interesting and rare birds breed in the area, such as Black Stork, Lesser Spotted Eagle, Great Spotted and Lesser Spotted Woodpeckers, Tawny Pipit, Barred Warbler, Semi-collared Flycatcher and Icterine Warbler. Visitors traveling through Kamchia reserve must follow marked paths and specified rules. 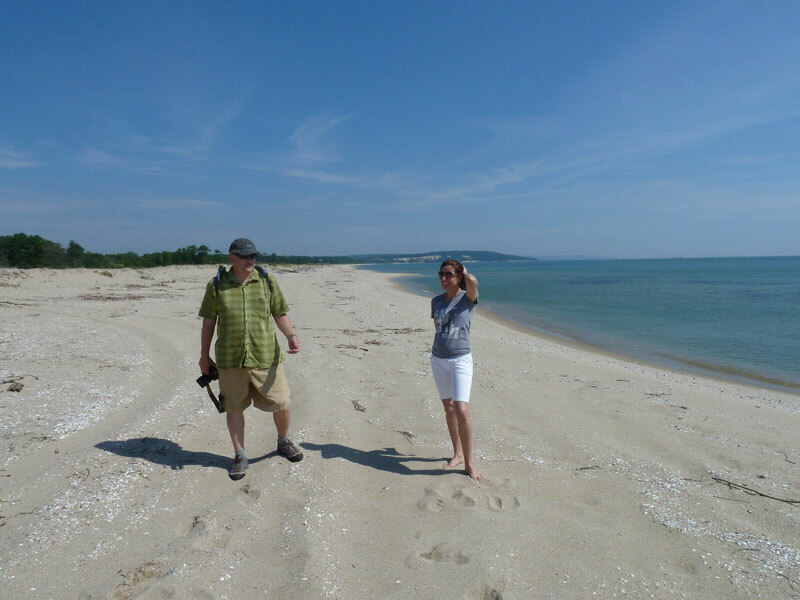 Kamchia-Shkorpilovtsi beach is 12.4 km long, with an area of 500 294 m2 and about 25 m average width. In the northern section, where the beach and sand dunes are leveled by bulldozing, it is up to 110 m wide (Fig. 4). The adjacent coast is built by limestones, Paleogene sandstones, marls and clays, and in Eastern Stara Planina by Upper Cretaceous sandstones, aleurolites, argillaceous rocks and limestones. The average rate of erosion of these rocks is 0.16 m/y. The beach is composed of fine to medium quartz sands with low carbonate content (3-8 %), which originate from the erosion of the sandstone rocks outcropping at the coast. These sandstones consist of 80% quartz grains cemented with lime substance brought from the Kamchia and Fandakliyska rivers. There are well-developed foredunes on the back side of the beach. Landward of these foredunes are vast fields of stabilized and vegetated dunes, followed by forested dunes located further inland. Dune systems occur behind the beach, where their development has been favoured by the dominant wind direction and ready supply of sediment (Fig. 5). Near the mouth of the Kamchia River, there is a large dune bar parallel to the coastline, which has a maximum height of 6 m. Since the coast here is exposed to NE, E and SE winds, a number of dunes with heights up to 8 m are formed landward just behind the bar. 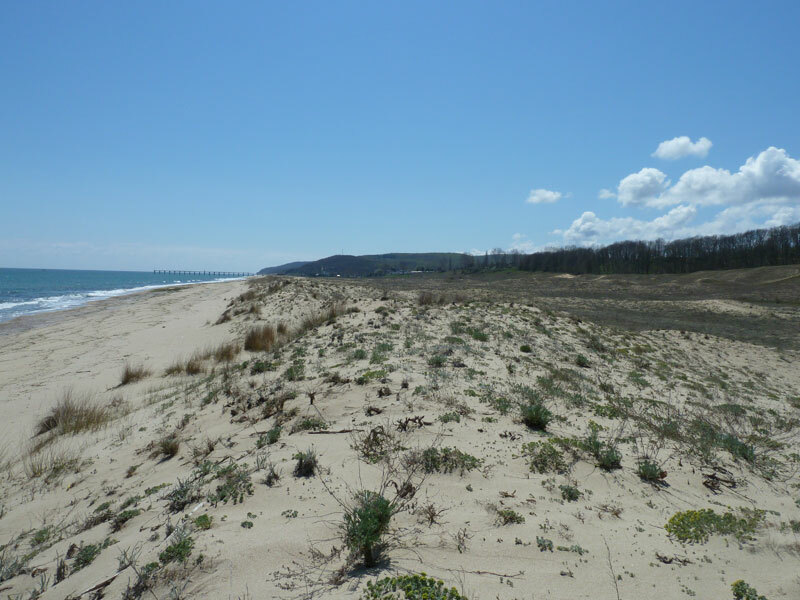 Similar climate conditions (dominant winds from E, NE and SE directions) have also shaped a comparable dune landscape around the southern part of the beach, distinguished by large foredunes and parallel dunes located inland (Fig. 6). Just offshore, the coastal slope is shallow and primarily comprised of sands and aleurolites (silt sediments). The northern section is commonly 500-600 m wide and the widest section is 1 km near the mouth of the Kamchia River. The boundary between sands and aleurolites is at a depth of approximately 20-25 m, but near the river mouth this boundary can be found at shallower depths (around 8-12 m). This is a result of the large amount of alluvial material being deposited by the river. A rocky platform at a depth of 6 m and 30-40 meters wide stretches intermittently along much of the shoreline near the mouths of the Kamchia and Fandakliyska rivers. This platform consists of lime sandstones and has an asymmetrical shape, with the highest part next to the shore. This rocky platform is a natural defense of the existing beach from direct wave impact. As the beach is still undeveloped and has no coastal protection structures, its dynamics remains natural and fairly stable. Winter storms commonly cause erosion, as strong waves reshape the beach profile and reach the backshore, thus causing erosion of the foredunes as well. However, in the summer the beach returns to its stable condition. Sands are transported alongshore from north to south, as it is the general sand transport direction for the entire Bulgarian coast. Although the beach is generally stable, strong storm waves can flood the beach and provoke erosion of the foredunes and even of relict dunes located at some distance landward (Fig. 7). 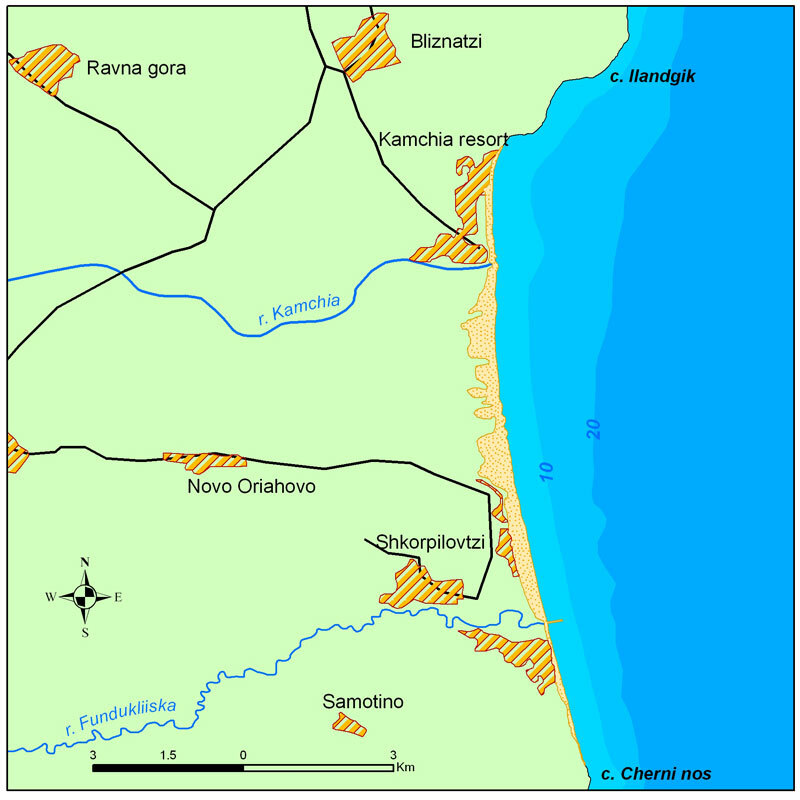 Until the early 1990s Kamchia-Shkorpilovtsi beach was characterised mostly by accumulation; previous research by Dachev et al. (2005) found that between 1958 and 1991 the shoreline migrated seaward 12.7 m. The situation has changed over the years as a result of human impacts on the Kamchia River, primarily hydraulic construction such as artificial lakes, long impermeable river corrections and engineered defense structures. The natural river flow and sediment load has been disturbed causing a sediment deficit along the shoreline. In addition, the decrease in discharge of solids has been exacerbated by the extraction of sands and shingle material from the river bed. In the entire catchment basin of the Kamchia River, 82 artificial lakes were built. After construction of three artificial lakes during 1972-73, the discharge of sediments of the Kamchia River decreased from 2 000 000 t/y to 500 000 t/y. 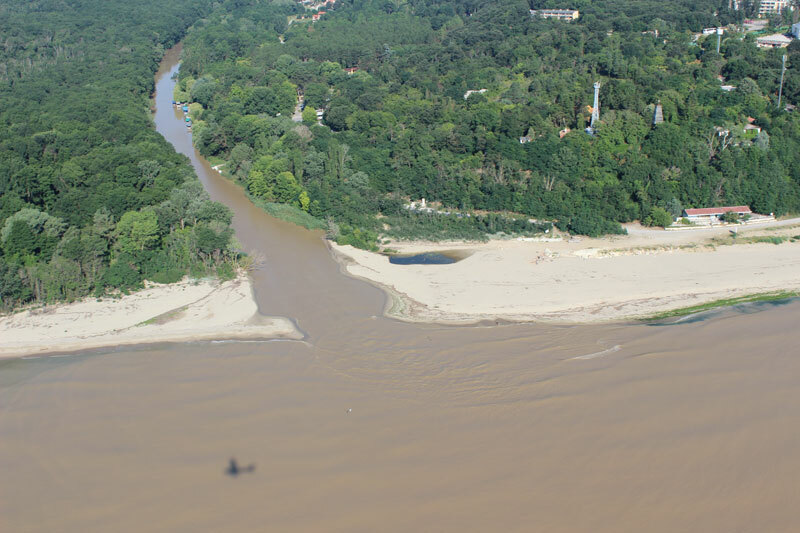 As a consequence, the sediment balance in the Kamchia River area has been disturbed and this has adversely impacted Kamchia-Shkorpilovtsi beach by reducing beach area and width. The most recent observations (2013) for the period 1983-2011 indicate that although erosion rates are low, the shoreline has retreated 2.30 m or 0.08 m/y (Fig. 8). Sand dunes are active on the backshore of the beach and become more stabilized and fixed landward as they are covered with vegetation and forests. 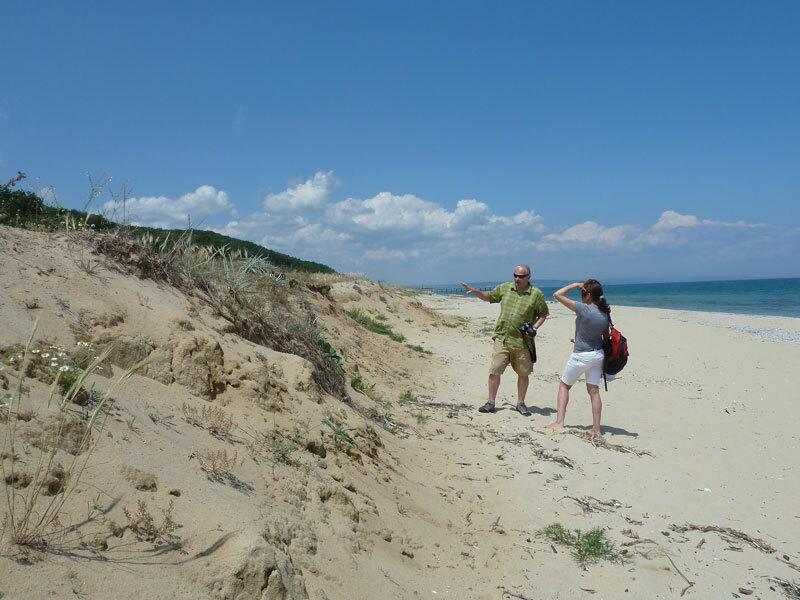 Located between the mouths of the Kamchia and Fandakliyska rivers, is the largest dune complex on the Bulgarian coast. This dune complex is made up of shifting, stable vegetated and rare grey dunes (grey stabilised dunes with wet dune slacks and forested dunes, Fig. 9) and is 7180 m long with an area of almost 2 km2. The complex is a priority conservation habitat in the European Union. 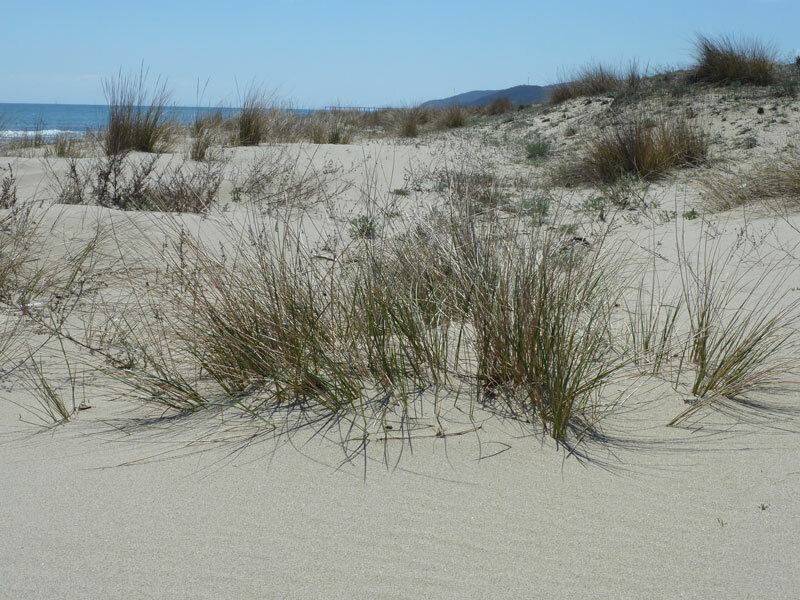 The beach and foredunes (mobile) are characterized with typical psammophyte vegetation (Fig. 10). Even though the beach and dunes still remain less urbanized and are subject to legal protection, they have been exposed to some human-induced threats, such as litter from tourists. Additional litter and industrial pollutants regularly wash up on the shore, much of which comes from either the port of Varna or ships traveling just offshore. Other threats to this coastal area include: 1) unregulated camping and “temporary” construction on the beach and dunes, 2) a lax regulatory environment that tolerates the re-zoning of protected sand dunes to “agricultural” areas (thereby allowing for easier transition for development), 3) sand compaction and destruction of rare dune habitats during the summer when large numbers of tourists cross the dunes to reach the beach, 4) off-road driving and parking, 5) illegal sand extraction, 6) afforestation with non-native species, such as Pinus Maritima which was introduced in the 1970s leading to the degradation of dune habitats here (Fig. 11). The most impacted section of Kamchia-Shkorpilovtsi beach is to the north near the Kamchia River mouth. Along this developed portion of the shoreline, the beach and dunes have destroyed by bulldozing and leveling. Although the beach is not overdeveloped, it has been the most impacted over the past decades and it is unknown whether these dunes will naturally recover. The expansive dune fields and beach are collectively referred to as “Kamchia sands.” In 2006, an investor succeeded in removing the protection status of these beach and dune areas. Due to its high conservational value, the protected area is also subject to the Environmental Network NATURA 2000 of the European Union, Ramsar Convention on wetlands, Council Directive 92/43 and other conventions. Therefore, one of the major threats to Kamchia-Shkorpilovtsi beach is the elimination of the protected status of “Kamchia Sands.” There is also a threat of ending the conservation status of the area because of logging and construction of hotels and supporting infrastructure on the shoreline. 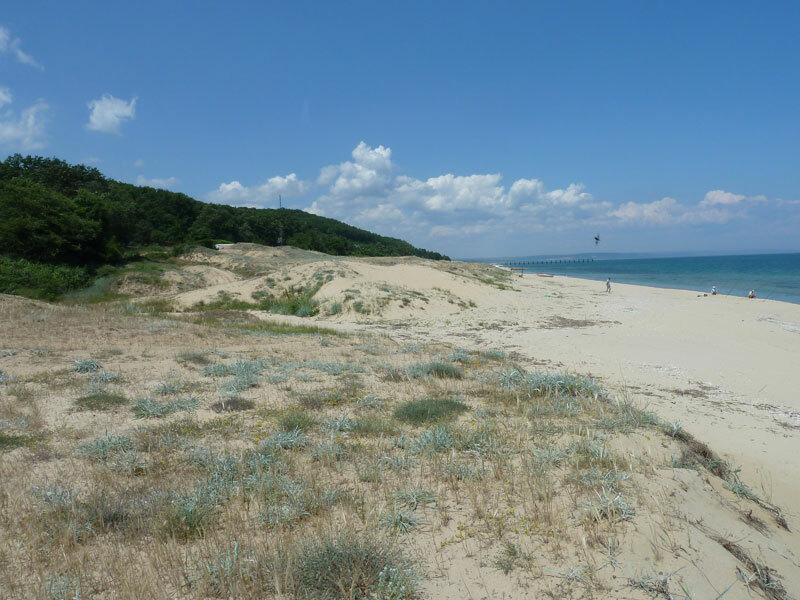 Kamchia-Shkorpilovtsi beach is the longest beach in Bulgaria and is distinguished by vast areas of preserved rare sand dunes which are a priority habitat in Europe. For many years prior to human construction on the Kamchia River, the beach remained stable and did not experience significant erosion. Although erosion rates are still relatively low, the shoreline has been retreating since the early 1990’s. We suggest that if the beach remains naturally functioning, its dynamics and morphology will not experience large changes in the near future. The only real threat to the beach is associated with coastal development plans to build new infrastructure that will increase tourism. 1. Council Directive 92/43/EEC of 21 May 1992 on the conservation of natural habitats and of wild fauna and flora. Official Journal of the European Union L 206, 22.7.1992, p. 7. 2. Dachev, V.Z., Trifonova, E.V. and Stancheva, M. K. 2005. Monitoring of the Bulgarian Black Sea Beaches. (In), Guedes Soares, Garbatov & Fonseca (eds.) ‘Maritime Transportation and Exploitation of Ocean and Coastal Resources’Taylor & Francis Group/ Balkema, 1411 – 1416. 3. NATURA Project stuff, 2000. Preparation of the Bulgarian Natura 2000 Network of Protected Zones. 4. Peychev V. and Stancheva, M. 2009. Changes of Sediment Balance at the Bulgarian Black Sea Coastal Zone Influenced by Anthropogenic Impacts. Compt. Rend. Acad. Bulg. Sci, 62, 2, 277-285. 5. Peychev V. 2004. Litho- and morphodynamic of the Bulgarian Black Sea coastal zone. Publ. House “Slavena”, Varna, 231 p. (In Bulgarian). 7. Stancheva, M., 2010. Sand dunes along the Bulgarian Black Sea coast. Compt. Rend. Acad. Bulg. Sci., 63 (7), 1037-1048. 8. Stancheva, M., Ratas U., Orviku K., Palazov A., Rivis R., Kont A., Peychev V., Tõnisson H. and Stanchev H., 2011. 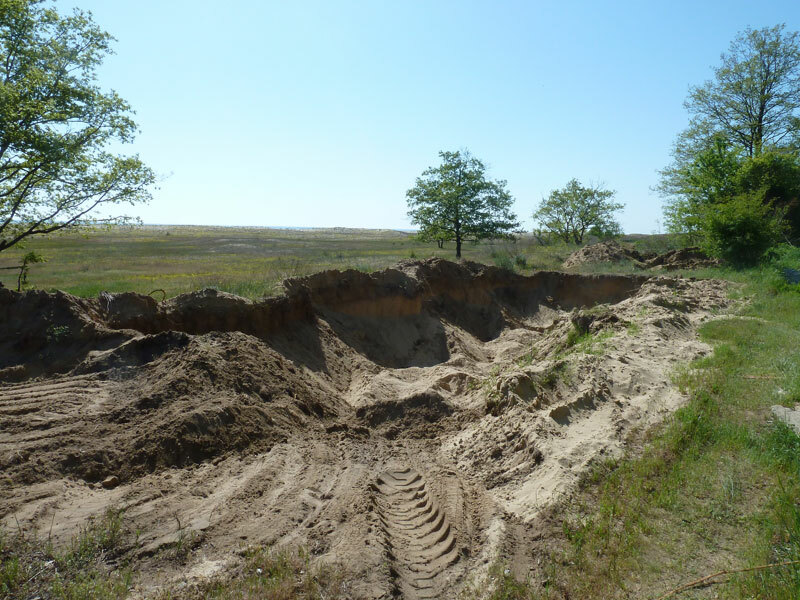 Sand dune destruction due to increased human impacts along the Bulgarian Black Sea and Estonian Baltic Sea coasts. Journal of Coastal Research, SI 64 (Proceedings of the 11th International Coastal Symposium), 324-328, Szczecin, Poland, ISSN 0749-0208. 9. Tzonev, R. 2011. Red Book of Bulgaria, Volume 3, Natural habitats. Issued by Bulgarian Academy of Sciences and Ministry of Environment and Water of Bulgaria. 10. Tzonev, R.; Dimitrov M. and Russakova, V., 2005. 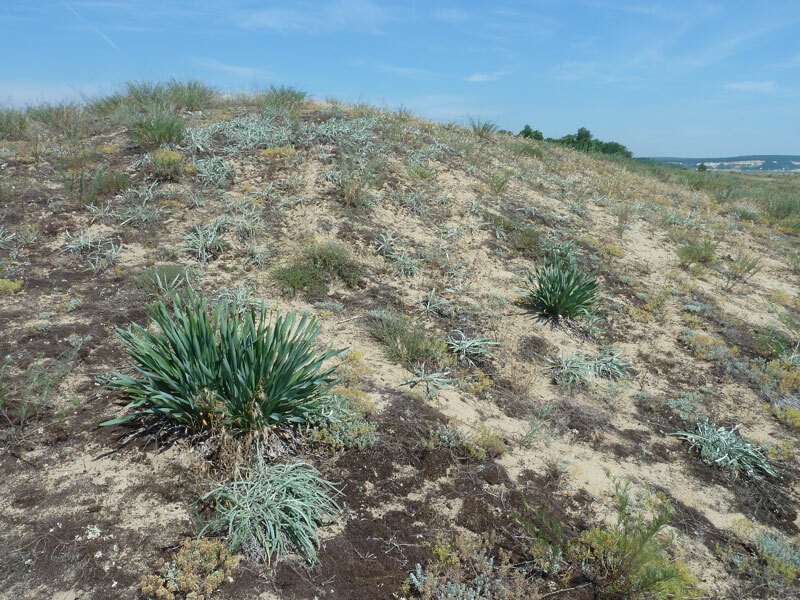 Dune vegetation of the Bulgarian Black sea coast. Journal Hacquetia, 4 (1), 7-32. The Program for the Study of Developed Shorelines (PSDS) collaborated with the Bulgarian Academy of Sciences Institute of Oceanology (IO-BAS) to conduct the first comprehensive photo survey of the Bulgarian Black Sea Coast. Images were acquired July 10 and 11, 2013. The flight progressed from the Romanian border in the north to the Turkish border in the south with close to continuous coverage. The project was funded jointly by PSDS and IO-BAS along with support from the Bulgarian Fulbright Commission.